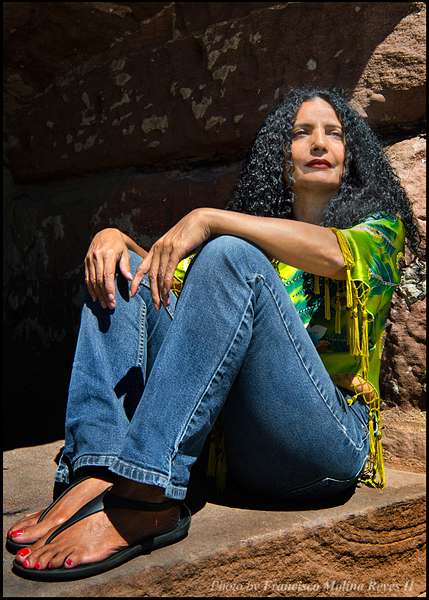 Olga Ayala is a Nuyorican artist who grew up in the heart of Spanish Harlem. She is a graduate of The High School of Art & Design in New York City where she received most of her formal artistic training. The art bug bit a very young Olga, one day, during a weekly family shopping trip. What sparked her fascination was watching her mother draw a really good Mickey Mouse on the back of their grocery list. From that day forward, her passion to be an artist was unquenchable. Over the course of her creative years, Olga has gone through various periods of artistic experimentation and inner self-discovery. Those journeys gave rise to a unique body of work that not only captures her rich cultural spirit, but also reflects her light-hearted and sometimes quirky sense of humor. Her pieces span the functional, wearable, fine and figurative arts. She believes that art should be something you can touch and interact with whenever and wherever possible. In 1997, Olga discovered polymer clay and has since been working exclusively with this medium. Her pieces employ a variety of polymer clay techniques as the core material and as accents in her overall body of work. Olga has been commissioned to design awards for special recognition events and to create custom pieces for private individuals and groups. Her skills as a Prop and Costume Designer have also extended to the Indie-Film Industry and to the Theatrical stage. During the past decade, Olga has evolved into a teaching artist. She has led classes and workshops in schools, museums and at senior citizens centers, throughout NYC and along the East Coast. She, also, co-founded PRIDA (Puerto Rican Institute for the Development of the Arts). Currently, she resides in New York City.